Buy online our clothing and fashion fabric Greca Lamè M1-600. 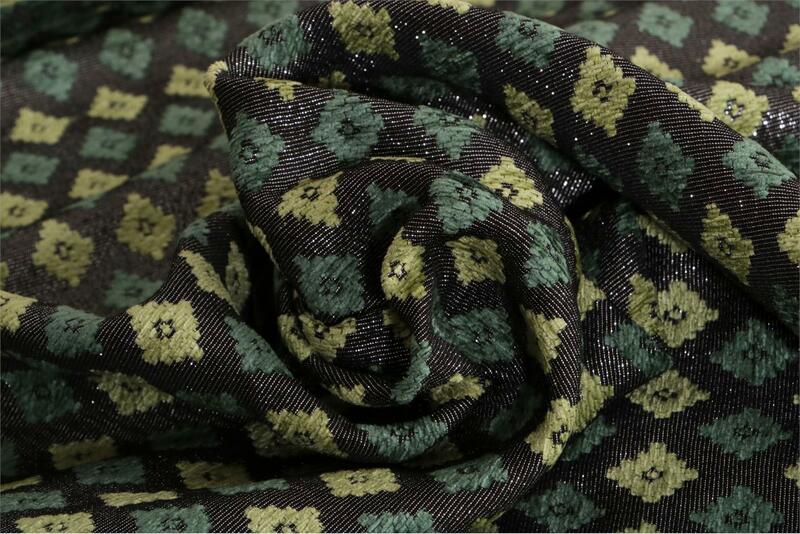 Jacquard fabric with rhomboidal pattern in light and dark green on a black lamé base. For jacket and duster. Black, Green Mixed Geometric Jacquard fabric for Jacket, Light Coat.